Dr. Kwangsung Park is a Professor of Urology at Chonnam National University Medical School, Gwangju, South Korea. He received his medical degree (1983) and PhD (1993) at Chonnam National University, and completed his urology residency at Chonnam National University Hospital, and fellowship (1995-1997) in male erectile dysfunction at Boston University School of Medicine, USA. Dr. Park is currently a member of National Academy of Medicine of Korea, President of the Korean Society for the Study of Women’s Sexual Health (KoSSWSH), co-Chairman of Education Committee of the International Society for Sexual Medicine (ISSM), the Editor-in-Chief of Sexual Medicine (open access journal of ISSM) and also of Investigative and Clinical Urology (official journal of Korean Urological Association). 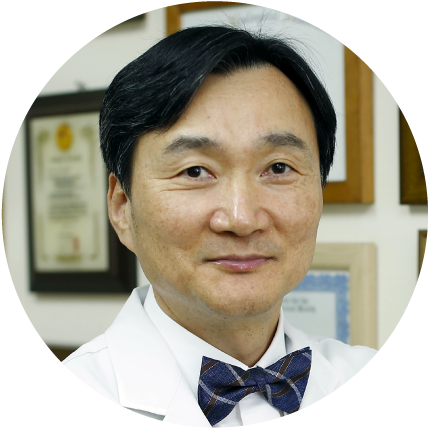 Dr. Park served as Members at Large and Chairman of Grants & Prizes Committee of ISSM, Chairman of the Scientific Program and Research Committee of APSSM, and also President of the Korean Society for Sexual Medicine and Andrology (KSSMA). He has received numerous research awards, including the Jean-Paul Ginestie Prize (1996) and Newman-Zigniotti Prize (2000).